Truck drivers are subject to a great deal of regulation, and rightly so. These are huge machines, and the smallest errors, whether because of driver fatigue, inadequate pre-trip inspections, or distracted driving, can cause life-altering destruction. There is always an incentive by truck companies to cut corners, cut costs, and improve their bottom line. The good trucking companies ignore those incentives, and play it safe. The bad ones skirt the federal and state regulations, and cause Maryland truck accidents. Here’s the story of one really bad one. Unfortunately, it’s a local business, based out of Anne Arundel County, Maryland. 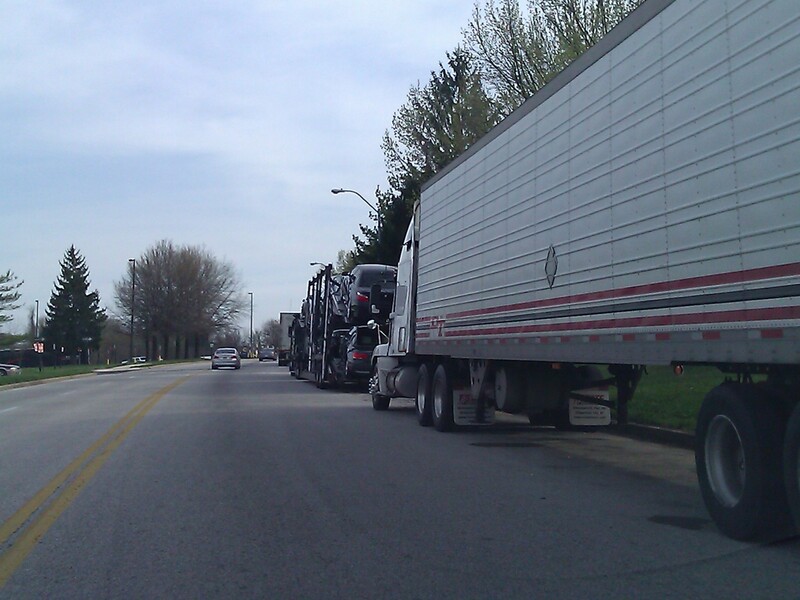 In November 2011, trucking company Gunthers Transport LLC was forced by the federal government to close up shop. Gunthers, an “imminent hazard to the public,” was cited for safety violations and seven collisions within a one-year period. The company was caught falsifying driver logs to circumvent driver rest and sleep requirements. In the 1990’s a prior version of the company recently lost a civil lawsuit from a situation where one of its drivers killed one person and left another permanently disabled. The company declared bankruptcy, and still owes its victim a substantial amount of the $16.5 million judgment. Just a few weeks later, a new company was born–Clock Transport LLC. Interestingly enough, it had the same address as Gunthers, and the person in charge was the son of Gunthers. Maryland State Police quickly noticed this, and made it a point to pull over every single truck from that address to check for safety violations. By the last week in November, 2011, the Federal Motor Carrier Safety Administration (FMCSA) issued an out-of-service order against Clock Transport–pulling their trucks off of the road. It is based on a failed Clock Transport truck inspection in Ohio, along with the suspicious events surrounding Clock Transport’s birth. The news reports we’ve read (click here for the Baltimore Sun article) don’t give any indication as to why the company can’t pay the civil judgment. Perhaps it was uninsured, or perhaps it didn’t carry a reasonable amount of insurance. That’s just one more reason why this company was so bad, and one more indication that it was irresponsible. The real lessons are that Maryland drivers should protect themselves–companies like this are out there every day, pushing the envelope and operating outside regulations and laws. We recommend that our clients get as much uninsured/underinsured motorist coverage insurance that they can afford. Insurance usually isn’t a problem in trucking cases, because most carry more than enough insurance. But some truck companies don’t (and many regular motorists don’t), so uninsured/underinsured motorist coverage can help to protect you and your family after an auto accident. If you’ve been in a Maryland truck accident, or would like help in knowing how to talk to your agent about insurance, contact us at 443.850.4426, or online for a free consultation. We have a proven track record of success in automobile accident and truck accident lawsuits.